Grows wild in rock outcrops in the mountains of Mexico. 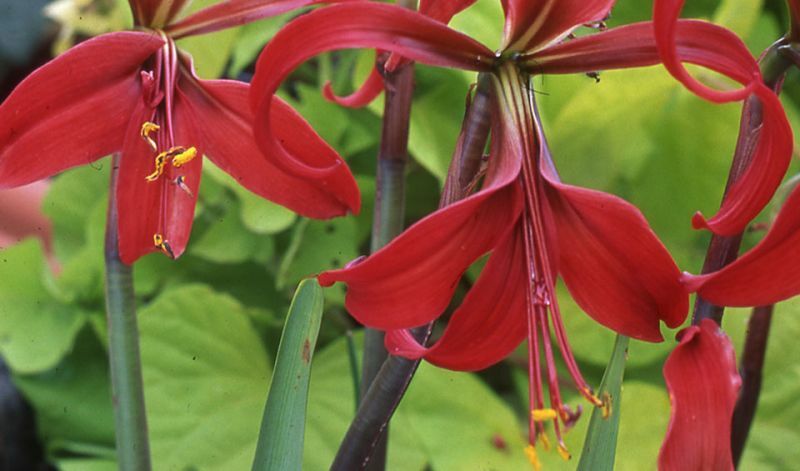 Plant outside in Spring after the danger of frost has gone in fast draining, organic, sandy soil. Water generously during growing season. 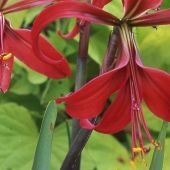 Sprekelia also make striking indoor pot plants: plant and treat it just like you would an amaryllis (to which it is related) with the neck of the bulb just above the soil surface. Keep it slightly moist and give the plant at least 4 hours of sunlight a day. Rest the bulb (no watering or feeding) from October to February. Repot every 3-4 years.